Have loads of fun in the summer AND learn lots of interesting stuff while you’re at it! Courses include survival training, marksmanship, aviation courses, drill and instructor courses, along with many other subjects. Over 9,000 Air Cadets take part in summer training. Some of the courses offered are: athletic instructor, aerospace, aircrew survival, air studies, air traffic control, instructional techniques, leadership, music, physical fitness, rifle coach, and technical training. 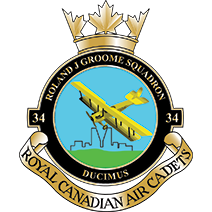 International exchanges are offered with the International Air Cadet Association. Senior Air Cadets have the opportunity to travel to many countries.